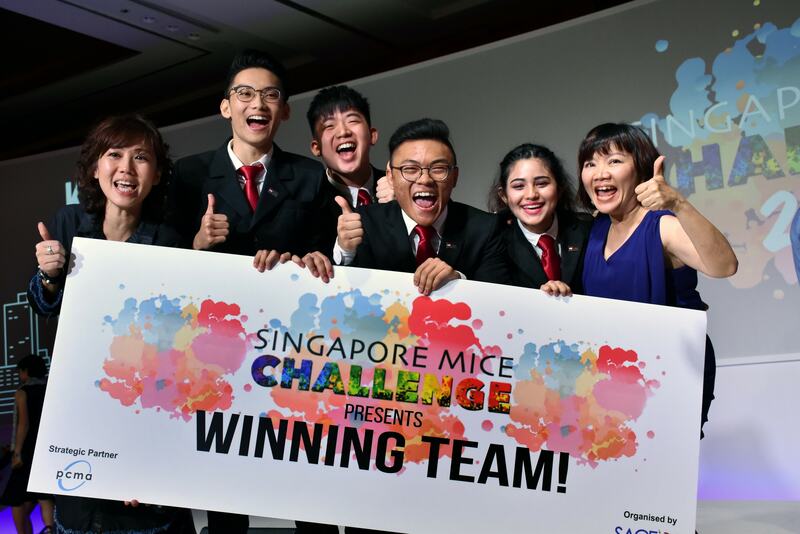 Organised by SACEOS in strategic partnership with PCMA, the Singapore MICE Challenge is a nationwide challenge for all students in the Post-Secondary Education Institutions majoring in MICE or Business Events, Business Management, Hospitality and Tourism related fields. 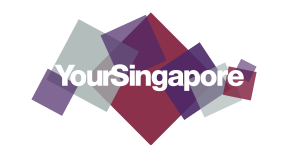 In its 3rd edition, the Singapore MICE Challenge 2017 engages competing teams on their knowledge and understanding of the MICE and Events industry to create a successful business event. There were 10 participating teams from various tertiary institutions that took part in Singapore MICE Challenge in 2017. They were given the chance to develop their creativity and present fresh and unique ideas to MICE leaders and professionals in the industry. The 3 winning teams formed by young industry students were able to revolutionise learning and development by applying theory to practicality. Industry professionals were impressed with the bold predications and avant-garde concepts these teams delivered. The Winning and 1st Runner Up teams were awarded with a fully sponsored trip to Nashville to attend PCMA Convening Leaders 2018, Professional Convention Management Association's (PCMA) largest annual meeting that generates education, networking, and business opportunities with more than 4,500 meetings industry professionals! The 2nd Runner Up team was awarded a trip to Kaohsiung, to compete in AFECA (Asia MICE Youth Challenge 2017) alongside with 13 teams from various institutions and universities all around Asia. They received the Special Recognition Award for their outstanding performance. All 3 Winning teams were to participate in SACEOS Young Ambassadors Programme from 20 July 2017 to 31 May 2018! They are to be an advocate to tertiary institutions and secondary schools as well as being the representation of youth at selected major events. The Winning teams are also expected to produce a 5 minute video clip to document their experience in PCMA Convening Leaders 2018 and AFECA Asia MICE Youth Challenge 2017. Claire Smith has built a strong reputation as an involved and informed leader in the Global Meetings Industry over the last 25 years. As the Vice President, Sales & Marketing at the Vancouver Convention Centre, Claire is responsible for strategic business development, leading and directing the sales, marketing and communications team, as well as positioning the facility in the global marketplace. Prior to the Convention Centre, Claire ran her own consulting firm where she provided business development strategies, advice on process improvement and training for convention venues, bureaus, associations and event management companies around the world. A recognized expert in her field, Claire has been a featured speaker and session facilitator at meeting industry conferences in Asia, North America and Europe and also actively participates in various industry associations. She currently serves as Chair Elect of PCMA and has been on the Board of Directors for the past four years. In 2016, Claire also co-chaired the PCMA Convening Leaders Conference in Vancouver, BC, Canada. Sherrif Karamat, CAE, BAS, MBA is the Chief Operating Officer of the Professional Convention Management Association (PCMA). An industry leader in the business events industry, Karamat previously served as the Vice President of Business Sales and Services for Toronto Convention and Visitors Association (Tourism Toronto). In his role as COO, Karamat is a key member of the executive team of PCMA and is currently leading the development PCMA’s global strategy to inspire, connect and innovate with the World’s Business Events Industry. In addition, his responsibilities covers all of PCMA’s major revenue streams including strategic partnerships, Convene, Memberships, customer acquisition, and PCMA’s integrated media platforms, technology and data intelligence. As part of Karamat’s strategy for global development he consults with various national governments on the meetings, conventions and the business events industry. Karamat has served on various boards around the world including Reed’s Advisory Boards for ibtm World and ibtm America. He is currently on the Sydney Advisory Board and is as a director on the Destination Marketing International Association Foundation Board. Karamat is a life-long learner and in addition to completing his Bachelor of Administrative Studies (BAS) and MBA, he has completed various post graduate certificate programs at Wharton School of Business; Kellogg School of Business; University of Chicago; Harvard Business and Law School he completed a program on Strategic Negotiations for Senior Executives; and most recently a program at MIT on data intelligence and big data. 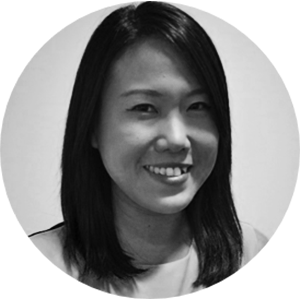 Over her 13 years with the Board, Jeannie has overseen key strategic tourism projects such as the opening of the Singapore Flyer, the development of River Safari, and the conceptualisation of the Hotel Industry Productivity Roadmap. 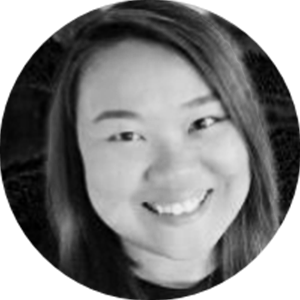 Jeannie graduated from The University of Sydney with a Bachelor of Applied Science (First Class Honours), and holds a Master of Management in Hospitality from Cornell University/ Nanyang Technological University. 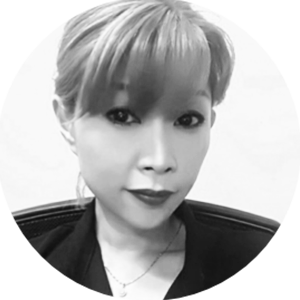 Shirley started her professional exhibition manager career as an International Sales Manager with Singex Exhibitions in 2005 and progressed into Project Management handling world class events in the Defence sector like Imdex Asia, GSA and many others. She joined Reed Exhibitions China and managed a 100,000 m2 Machine & Machine tool exhibition in Beijing with over 2,000 international exhibitors. 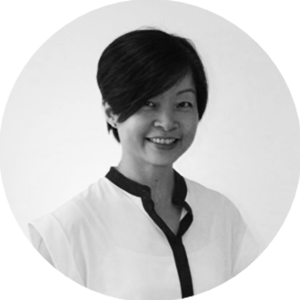 Upon her return from China, Shirley joined Sphere Exhibits ( a subsidiary of SPH) as a Business Director and set up the B2B trade division launching new exhibitions in Singapore, Myanmar, Indonesia and Thailand. With more than 35 years of combined experience in the media, and exhibition industry, he has gained considerable on-the-ground experience and insights of the industry to make events work. Lloyd’s experience and expertise covers strategic marketing, sales and project management as well as marketing communications, attendee marketing and conference management. He is currently with Experia Events Pte Ltd as the General Manager – Government & Lifestyle Group. Armed with a Master degree in Communication Management, Lloyd is able to effectively use his academic knowledge, professional experience and leadership abilities to actively serve the business and academic communities. He is currently a member of the Academic Advisory Committee of Singapore Polytechnic (SP) and Institute of Technical Education (ITE). Lloyd is also in the mentorship programme of a couple of institute of higher learning. And he has also served as Honorary Secretary and as Committee Member in Singapore Association of Exhibition and Convention Organisers & Suppliers. Bibiana graduated with a Diploma in Tourism Studies from Singapore Hotel Association Training and Education Centre (SHATEC) in 1993. During the 3 years course, the agenda covers a variety of syllabus ranging from Business Studies, Hospitality Management, Convention Management and Tourist Attractions Management, etc. Some of the convention experience was gathered as a trainee during a mega convention of 12,000 delegates Federation of Gynaecology and Obstetrics (FIGO) held in Singapore in 1992. For the next 4 years, Bibiana pursued her love for the hospitality services industry with East West Executive Travellers (formerly known as Franco Asian Destination Services) as an Account Executive – Incentive & Conference gaining experience in managing incentive and conference groups. With Singapore slowly gaining a strong foothold on the Exhibitions and Conventions sector of the Hospitality Industry, Bibiana went on to join AiC Worldwide (now know as Terrapinn) as an Operations Manager delivering mega exhibitions like Asia Theme Parks, Cards Asia and Casino & Gaming and many more industry-driven events around the Asia Pacific region like Jakarta, Manila, Kuala Lumpur, Bangkok, Shanghai, Hong Kong and as far as Dubai in the Middle East. Being involved in the World Bank’s Privatisation Conference in Singapore in 1996 and working closely with The World Bank and The Ritz Carlton Millenia Singapore, this event saw a materialization of 800 delegates involving Singapore’s top ministerial positions and also Mr Fidel Ramos (ex-President of Philippines), it gave her the drive to pursue for more. In 1999, Bibiana joined National Kidney Foundation Singapore (NKFS) as an in-house meeting planner. Participation in medical meetings related to nephrology, NKFS was very well presented in the various nephrology-related medical shows (EDTNA, EDTA and ASN) all over the world positioning as the leader in renal care and research in preventive measures to prolong the lives of the kidney patients. In 2001, with the experience and knowledge gained over the last 8 years, Bibiana joined Pacific World to assist in developing Pacific World’s position in the PCO industry. Pacific World’s position in the MICE industry gave Bibiana many opportunities to understand the association market. Having personally handled a number of association and mega corporate meetings (ranging from 12,000 to 500 persons) organized in various venues and involving in the full spectrum of meetings management. In the course of working with Pacific World, Bibiana also attended the 1st IAPCO/AACVB PCO Seminar in Singapore in April 200 and thereafter an IAPCO Advance Course in Jakarta. In 2004, Bibiana belongs to the 1st group of graduates from the Singapore meeting industry to have achieved a designation of ‘Certified Meeting Professional – CMP’ given by Meeting Planners International in US. This program recognises individuals who have achieved the meetings industry's highest standard of professionalism. During the course of Bibiana’s career, her work was acknowledged by the local and international clients when she won an award for Service Excellence – Gold Category in 1996 and again in May 2006. 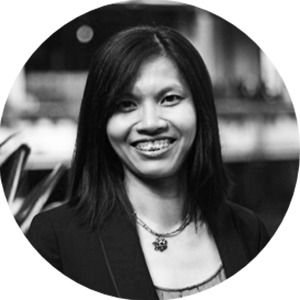 In 2006, Bibiana decided to try another spectrum of the MICE industry by joining Suntec Singapore as Senior Manager, Convention Sales and has progressively taken on leadership positions with additional responsibilities over the last 10 years. She has consistently achieved high levels of accomplishments. Under her dedicated leadership, the venue has secured and hosted several prominent events such as the Singapore International Water Week, Singapore International Energy Week, Singapore Garden Festival, FDI Annual World Dental Congress 2009 as well as the International Conference on Emergency Medicine 2010. Human Genome Conference in 2013, Asia Pacific Association for the Study of Liver in 2013, IFLA World Congress in 2014 and most recent will be ISMRM 2016 – just to name a few. All these huge congresses of 2,000 persons and above have been wonderful executed and managed between the Suntec Singapore and the organizer under close working relationship. In 2013, Suntec Singapore underwent a major re-modernisation plan which saw the return of the venue as one of the world’s most technology advance venue. 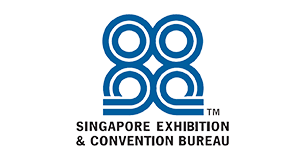 During the re-modernisation, Bibiana was once again promoted to her present position of Senior Director of Sales for Suntec Singapore Convention and Exhibition Centre. Her portfolio and responsibilities include driving business growth, strengthening Suntec Singapore’s sales initiatives, calculated business direction as well as implementing sales strategies and driving sales performance. She is also accountable for enhancing revenue growth in the traditional and new MICE segments of the venue’s core business. 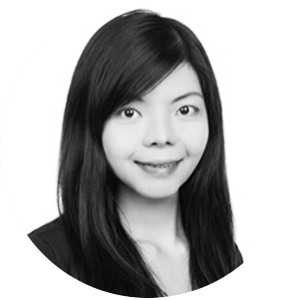 Having 4 departments with a total of 37 colleagues, namely Corporate Sales, Conference and Exhibition Sales, CRM Sales Administration and Experience Management under her charge, she has collectively lead the team to achieve S$ 60 million MICE revenue per year since 2014. Sponsorship opportunities are available at this event. For more information, please email Ms Chloe Pung at events@saceos.org.sg or +65 6825 2341.